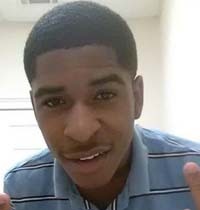 Dimitrius Aka DjDaRapper is a rapper from Atlanta, Georgia. He was 8 when he got fascinated with fast rapping. He practised with his own flow and he tried to get his own style of rapping. His counsin Young Joc learned him rapping too and made from DjDaRapper a hard working and versatile artist. He got inspired by rappers Migos, Futuristic, Future and Trippie Redd. Rapping is not just a hobby for DjDaRapper its his life. He dont rap for fame he raps so if he breaks through he can give something back to the cmmunity and the people he loves to see on a daily basis.